On Sunday, November 11, the Bremen opens the 2012-13 Antarctic season with its first expedition cruise. From Montevideo, she will carry the maximum 164 guests to the Falkland Islands, South Georgia and the South Orkney Islands, then the Antarctic Peninsula. The Hanseatic will follow in mid December. For many guests, an Antarctic expedition means fulfilling a dream they may have had for a long time. To ensure that the expedition becomes an unforgettable experience, planning is recommended. Antarctica is among the most sensitive ecosystems in the world and is under special ecological protection. The expedition ships Hanseatic and Bremen have been using more environmentally sound marine diesel oil in the polar regions for years, long before the new law entered force in 2011. Beyond this, a code of conduct for Antarctica stipulates that visitors are required to protect sensitive mosses, lichens and grasses and stay a safe distance from animals, for example five metres in the case of penguins. These rules are communicated by experienced lecturers in the time spent ashore. “You need to take time when visiting Antarctica, as you cannot explore this unique destination on a cruise with a duration of merely one week. Anyone wishing to see more than plenty of water and a bit of ice should schedule around two weeks,” recommends Mark Behrend, captain of the Bremen, who has been to Antarctica more than 30 times. “The choice of route and ship is decisive for intense expedition experiences. Solely small ships with few passengers fulfil the conditions for landings. With the Bremen’s twelve zodiacs, we offer first-hand nature experiences and ideal opportunities in terms of animal observations. “Only passenger ships with the highest ice class are capable of advancing really far into Antarctica and even moving safely to the south of the Antarctic Circle. Besides the ice class, it is primarily of crucial importance to have on board an ice-experienced ship management and crew, who are able to read the ice and navigate accordingly,” adds Captain Behrend. It is advisable to book Antarctic expeditions as early as possible – especially on ships with a capacity of fewer than 200 passengers. 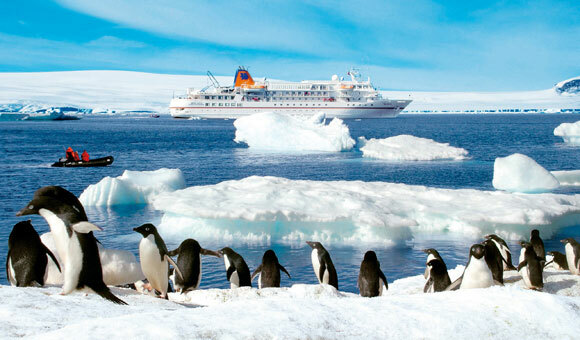 Special routes, for example those beyond the Antarctic Circle, are also booked out more than a year in advance. 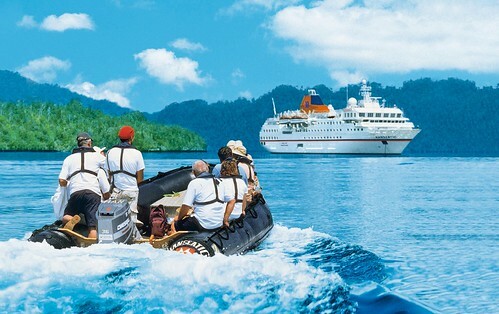 For more information on Hapag-Lloyd Cruises’ destinations and itineraries visit www.hl-cruises.com. 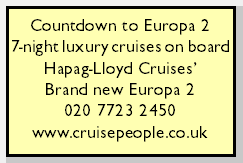 For bookings, inquiries, or to request a brochure, please call Gay Scruton at The Cruise People Ltd in London on 020 7723 2450 or e-mail cruise@cruisepeople.co.uk .